Cars are supposed to drive even and smooth at all times, especially if you’re on a relatively good road. Chances are however, that you’ve experienced steering wheel vibrations at one point or another, and that’s perfectly normal. A lot of components used on road vehicles need replacing, and it’s not uncommon for a certain part to break or fail after a lot of use. 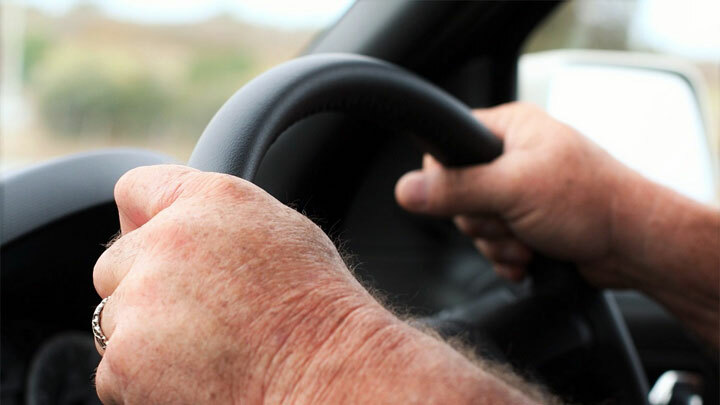 The steering wheel is your connection to the car and indirectly, the road, so it’s logical that the first indication of something being broken or out of balance will manifest itself through the steering wheel. This one makes the most sense. The steering wheel is used to direct the wheels, so it’s only normal for tire problems to come through the wheel. The most obvious culprits here are out-of-balance tires. With this issue you won’t get any shakes at lower speeds, but they will start becoming more and more noticeable the faster you drive. Check the tires for flat spots (especially vehicles that have not been driven recently) as this issue usually results in uneven tire wear. Make sure all four tires are properly inflated. A deflated tire can send shakes through the steering wheel too. Lastly, check the tire wear. If you notice that one side is more worn out, rotate the tires to even out the tire wear. If the tire tread is bad enough or tire rotation isn’t an option, you’re going to need new tires. If it’s not the tires, your next go-to part should be the wheels. They are the centerpiece of all tires after all. Start by checking the wheel bearings. Although they should, in theory, last you an entire lifetime, that’s only in theory. In real life, they can wear out sometime, or even get damaged. Replacing them should solve the issue of steering wheel shimmy or wobble. Problems with tie rod ends or ball joints are easy to diagnose. If the steering wheel shakes only when cornering and never while driving straight, it’s likely the tie rod ends. The ball joints produce opposite results when going bad. They will only produce shaking while driving straight, never while cornering. If your car has been involved in an accident recently and you just started noticing vibrations, start looking at axle issues as it’s very likely that one got bent or damaged. The shakes will increase as the speed rises, but they will be present even at lower speeds. A broken driveshaft may result in random jerkiness of the steering wheel. The steering wheel will jerk left or right on its own. This is an immediate red flag. Take the car to a mechanic (avoid driving it there) and get it fixed immediately. Although this one may not make sense at first, stopping to think about it gives great insight. Engine problems manifested through shaking can be felt throughout the entire car, but it’s usually the steering wheel which will give you a heads-up before that happens. Problems with air induction, fuel delivery or spark-related issues can disrupt the car from running smoothly, resulting in a distinct vibration from the engine compartment. This symptom is not that common, but it can happen, so be wary. A broken engine mount can also cause some vibrating of the steering wheel, especially when accelerating. When it comes to safety, the main priority are the brakes. A blown engine may not allow you to drive the car, but faulty brakes will fail to stop the car, which is way more dangerous. Normally if there is a brake issue, you will only feel steering wheel vibration while braking (see below). However, a stuck brake caliper will cause a noticeable steering wheel shake at high speeds. Below are some causes of steering wheel shakes due to your brake system. This problem will occur when you apply your brakes. Violent shaking through the steering wheel when braking indicates that the rotors are probably warped or worn out. If resurfacing the rotor doesn’t work, replace them altogether. If you apply pressure to the brake pedal and notice that your steering wheel starts to shake, this could be a sign that your brake rotors are going bad. Of course, there are many reasons why a steering wheel could be shaking (see above), especially if it only happens while driving at a particular speed. But if it just happens while putting pressure on the brake pedal, then it is more than likely due to a problem with the brake rotors. Every time you press down on the brake pedal with your foot, the vehicle slows down because the brake pads clamp together and apply pressure to the rotors as they’re spinning. But if the rotors are worn out or not installed correctly, then it will cause the calipers of the braking system to vibrate. Once that happens, the vibration travels through the components that are connected to the calipers and then into the steering wheel. The final result is a vibrating steering wheel each time you step on the brake pedal. As we know the front brake system is connected to the knuckle arm, the knuckle arm is connected with steering rack end, which is connected to the steering column, and then finally the steering wheel. So if the rotor is still in good condition, the possible cause of steering wheel shakes when braking often comes from the brake pads themselves. The brake caliper itself can also be responsible for some vibrations as well, but it’s usually only present in older cars. In this scenario, the steering wheel will only start vibrating at 50 mph or so, followed by a burning smell. It’s best to stop the car and avoid driving it at this point until you get the issue fixed. My car had been really shaky from the past few weeks. I really didn’t have time to visit the mechanic, so I googled for the problem to see if I can solve it myself. After reading your article, it seems like my car’s axle is no longer good to go. My 08 Dodge grand caravan just started shaking very badly at around 50 to 60 mph I was wondering what would cause that I just had an alignment done and brand new tires as well. Most likely the wheels weren’t properly balanced or one of the weights that attach to the rim for balancing fell off (they stick on). Go back to whoever installed your tires and have them check everything. Could also be a slightly bent wheel. The alignment wouldn’t cause shaking.